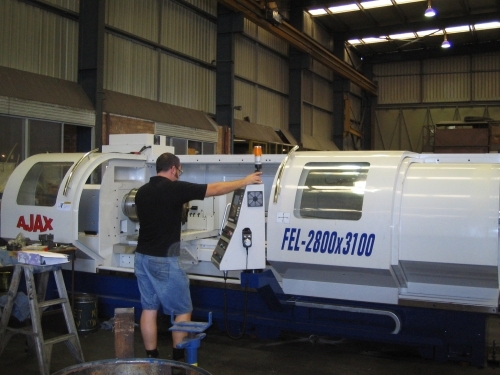 Ajax FEL2800 Series 720mm or 800mm swing CNC lathes are available from 1100mm up to 5600mm between centres. 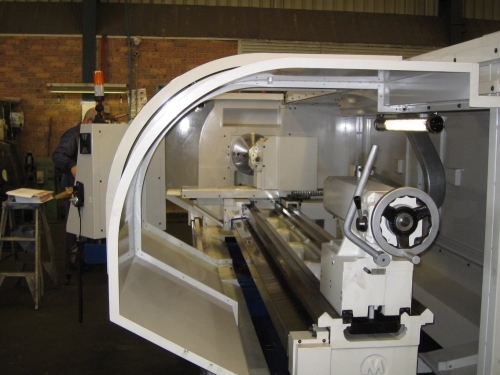 They are versatile, productive and economical workhorses designed for jobbing work or short production runs. have proven popular with general engineers, toolrooms and government departments around Australia. The Headstock utilizes a programmable three range gearbox ensuring that maximum torque is available at all times. 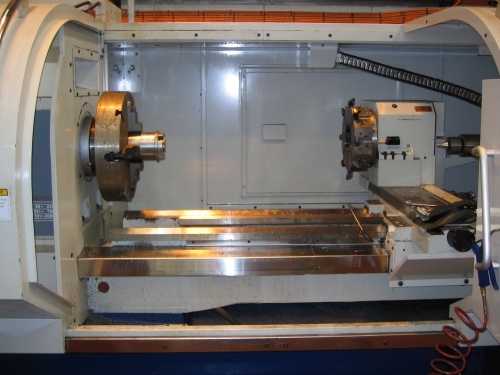 Available with 83mm, 105mm, 130mm, 160mm or 255mm spindle bores. 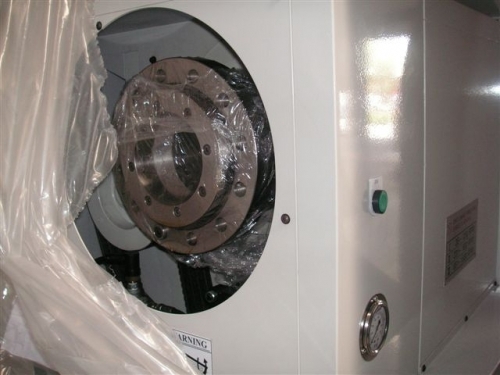 hydraulic tailstock, various bore sizes, motor sizes, additional steadies, U drill attachments, thread repair cycles etc.